He’s no braggart, Ron Gaudion. 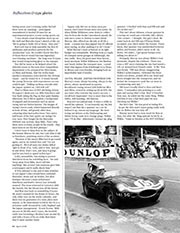 If you had been team mechanic on Jaguar D-types for all three Le Mans victories you might expect to revel in the glory at least a little. But having been a crucial part of the Coventry marque’s hat-trick, Ron returned to his native Australia, went into the oil industry – “and it just never came up for 15 years”. Things have changed. Those racing days have become not just rose-tinted but gold-plated and Ron’s memories are valued. 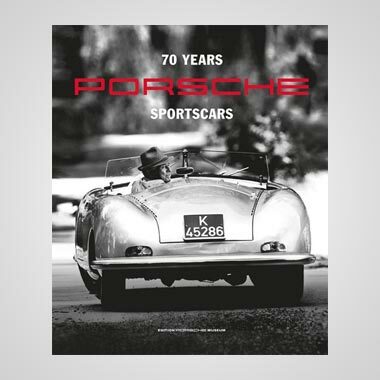 Sixty years on from the last of those momentous races, Ron returned to the UK courtesy of BA to celebrate that 4pm moment in 1957 when his team, privateers Ecurie Ecosse, took a momentous 1-2 at the Sarthe. He was a central part of the D-type event we reported on a couple of issues back, when the three Ds which came first, second and third along with the prototype long-nose and Jaguar’s Heritage car combined for a road trip like no other. 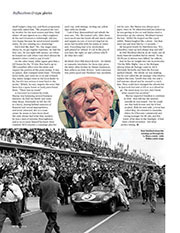 Before that, though, I had a chance to reminisce over lunch with him about building Ds, Ecurie Ecosse, and how a young man lucked into a glorious moment of British racing history. 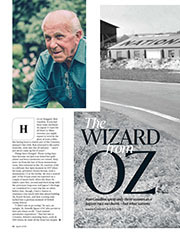 “I didn’t aim to go racing,” he says, an upright, fit, friendly figure of 87 who proves to have pin-sharp recall. 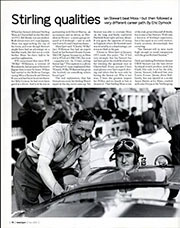 “I just wanted automotive experience.” That led him to Coventry, Britain’s motoring heart, early in 1955 where he tried all the firms but despite having seven year’s training under his belt there were no openings – until Jaguar remembered it needed 20 men for an experimental project, a new racing sports car. 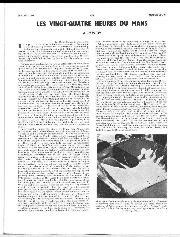 Ron’s job was to help assemble the first 10 subframes and produce patterns for the ‘production’ cars. 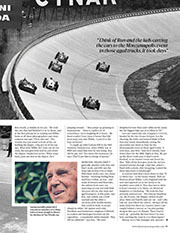 He couldn’t know that five of those first 10 would become legendary race-winning machines – the long-nose D-types that would bring lasting glory to the marque. I don’t want to keep Ron on the subject of the human distress he saw, but I ask what it did to Hawthorn, unwitting centre of the accident. 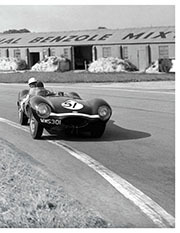 It’ll be debated to the end of time whether or not Jaguar’s discs would have outlasted Mercedes’ drum and air brakes, but after Stuttgart decreed a team withdrawal Hawthorn and Bueb’s victory was virtually assured. The team returned to Coventry with the laurels, but the bloom was off the leaves. And Ron was back on assembling D-types. 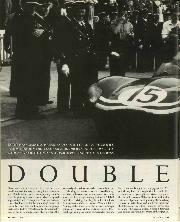 He wasn’t needed for the Reims 12 Hours, the only other race on the works calendar, and there was no guarantee of a team place next season, so he determined to follow the Ds to a privateer outfit favoured by Lofty England and the Jaguar management – Ecurie Ecosse. With success in XK140s and C-types, the Scottish outfit was becoming a Browns Lane second XI, and with a brace of Ds on order Ron knew they’d need another hand. What Murray’s team achieved on its tight budget was remarkable. 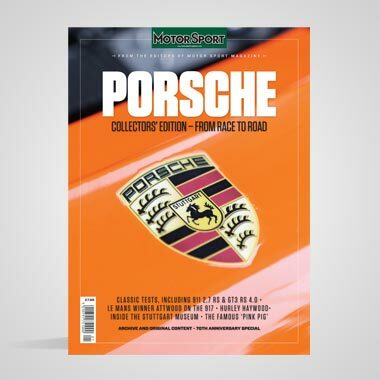 Working from a couple of cramped mews garages in Edinburgh, the tiny outfit – Ron, his good mate Stan Sproat, head mechanic Wilkie Wilkinson, Pat Meehan and Sandy Arthur the transport man – carted their blue Jaguars from Edinburgh to Le Mans, to Monza and even Sweden, bringing back an improbable haul of results. Ah yes, Wilkie. Dapper frontman for Murray’s team, always beaming, always in the photo, always mentioned in reports. 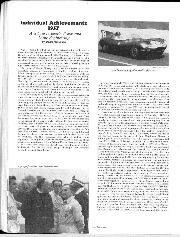 Brooklands tuning wizard with Bellevue MGs and ERAs, central to setting up EE in 1951, the ace tuner who oversaw the team’s success. I recall how impressed I was to meet him in the 1980s, still beaming, still famous. But fair’s fair: “He was good at tuning SUs – he got the 120s and C-types going really well, but on Webers he was way off”. A chartered accountant by trade, Murray was balancing several business interests: he had two hotels and some wine shops. Eventually he left the UK in a hurry, leaving behind rumours of financial and sexual improprieties, and never returned. 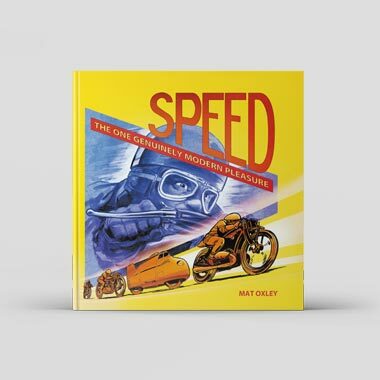 But as a team owner he seems to have been ideal: the crew always had what they needed, he was a man of extreme thoroughness, and as an ex-racer himself he knew what counted. He’d prepare a campaign plan for each trip, with timings, writing out yellow slips with the details. He has good words for Hawthorn too: “If a schoolboy came up he’d always stop and talk”. In 1962 Flockhart died in an air crash, one of many funerals Gaudion had to attend. “In my ’55-58 run 12 drivers were killed,” he reflects. Murray expected Gaudion to continue in 1958 – Ron still has the unworn overalls he was issued – but he could see that both Ecosse and the D had peaked. With his new wife, a Scots lass called May, he returned to Australia where he’d become commercial and racing manager for BP oils, and few knew of his time in the limelight. It had been a brief excursion – but what perfect timing.